Darrell has been coaching Ringette for 20 years. 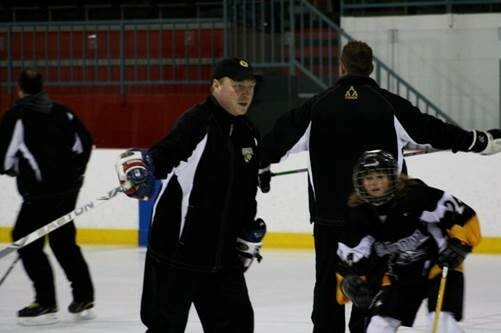 He has spent the last 13 years as a coach for the Regina Bandits U19AA Ringette team. In that time he was named as Assistant Coach for 3 Saskatchewan Winter Games Teams. He has chaired the High Performance Committee for Ringette Canada and spent many years sitting on 3 different Ringette Board of Directors. Darrell has also been a trainer for Ringette’s Competition Introduction coaches training stream. Darrell is looking forward to his new role with the Saskatchewan Winter Games team as Head Coach. His goal is not only to do well at the games but to also make it a positive, memorable experience for the athletes. Darrell is very excited about the 2019 Canada Winter Games program as this is his opportunity to lead the best Saskatchewan Ringette players to a successful Canada Winter Games appearance. Colleen has been involved with this amazing sport in many facets for over 30 years. She has held board positions, been an official, organized and ran training camps, is a current player of 32 years and is actively coaching. Colleen got involved with coaching eight years ago and has been coaching competitively for the past seven seasons. Every aspect of Colleen’s ringette career has allowed her the opportunity to meet so many great people and develop life long friendships, as a player and as a coach. This sport has influenced her life in so many ways. Giving back to this sport gives Colleen such great satisfaction and she is very much looking forward to the journey that she will be taking with our provinces Canada Winter Games Team. Colleen had the distinct pleasure of being involved with the 2015 Canada Winter Games program as an apprentice coach. This position paved the way to continue her training with aspirations of being a part of the 2019 Canada Winter Games program, and she is excited to be here. Colleen is looking forward to sharing her passion for this sport with others who share the same passion; from the coaches and support staff to the incredible families, and unbelievably talented Saskatchewan athletes. Nothing will make Colleen more proud than to be by their sides, representing our province and competing in this sport that has given so much to all of us. Colleen would like to thank those who trusted in her to give her this amazing opportunity. Go Team Sask.!!!!! 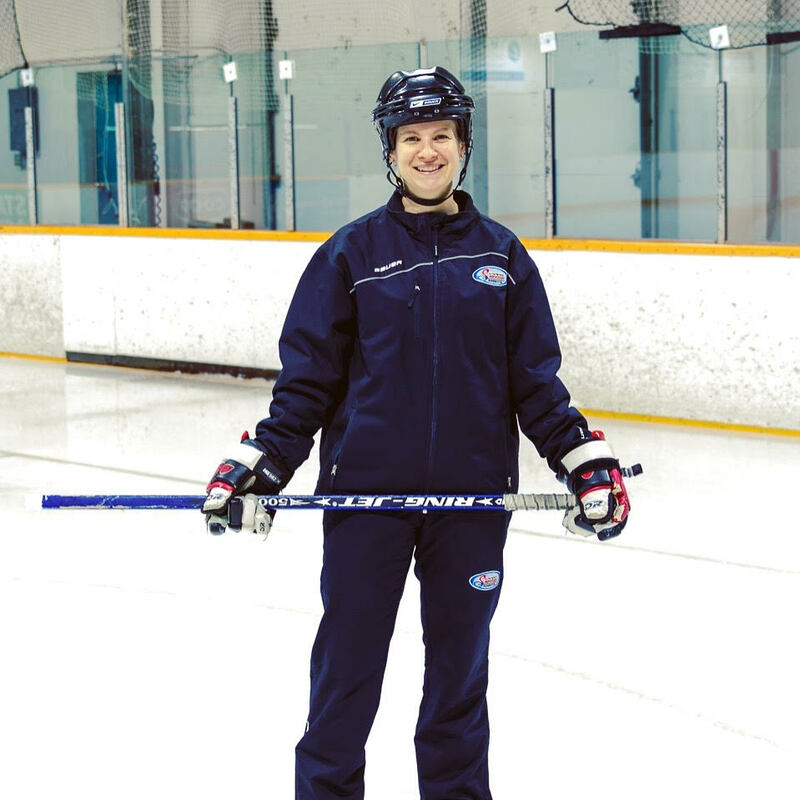 Kelly brings a wealth of experience from both teaching and coaching hockey and ringette for many years. He simply loves being on the ice, developing players and teams to reach higher levels of play. Many of the AA ringette teams and AAA female hockey teams he has helped coach to successful tournament results and seasons. He draws on his years of learning as a member of the Regina Pats, Saskatoon Blades, University of Regina and professional hockey in Norway. 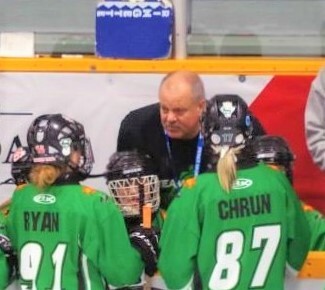 Skill Development, On-Ice Awareness, Game Strategy, and Athletic Development are all areas that are very similar between ringette and hockey, and providing enjoyment for all players and parents are the reasons why he spends countless hours contributing to Ringette. Currently with the Regina RIPT U19A team, Kelly has previously been an Asst. Coach with U16AA and U14AA programs in Regina and Buffalo Plains Ringette Associations, with a Silver Medal (2013) and Gold Medal (2014) at the Western Canadian Ringette Championships. Kelly is extremely grateful and proud to be representing Saskatchewan at the 2019 Canada Winter Games, a quality which will sure to be shared by all members of the team. Mel started playing Ringette in her home town of St. Benedict, SK at age eight and has been playing for 27 years. She participated in the high-performance stream from U16 up to the National Ringette League in 18+/Open, and attended 10 Canadian Ringette Championships during that time. She was a member of the 1999 CWG team, which captured bronze, as well as Team Canada in 2004 and 2007 (one of only six Saskatchewan players to make the senior national team in the past 25 years). She currently plays with the Saskatoon Wild Open A team. Mel has been coaching for the past three seasons and is as passionate about coaching as she is playing. 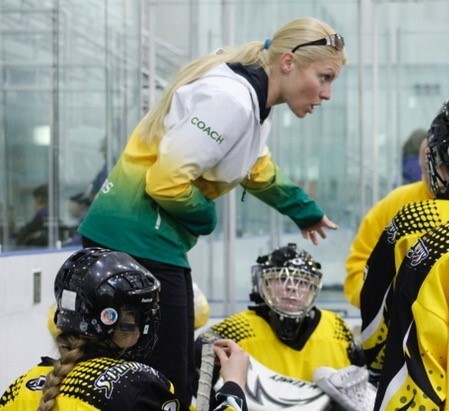 She has also been the VP of Athlete Development with Saskatoon Ringette for the past three seasons, and has previously served on the Ringette Saskatchewan board, first as the athlete representative and later as a director. With this background, Mel brings a wealth of expertise to the 2019 CWG program. She is excited to share her knowledge and experience with these athletes, and to contribute to a positive, rewarding CWG experience in the program. Kim Markwart has been a member of many high-performance teams in a variety of different sports as an athlete, coach and manager. 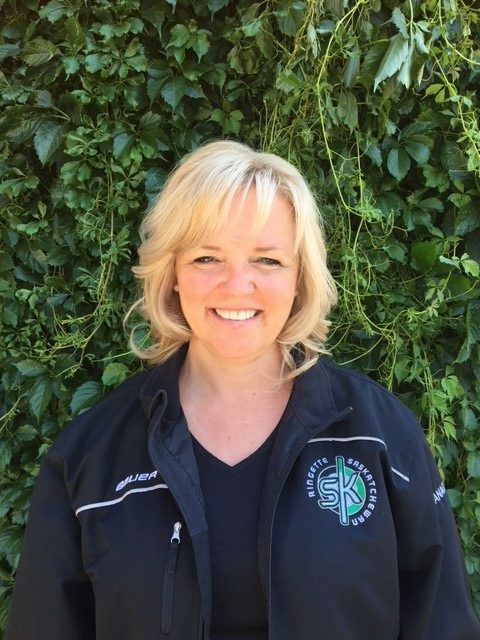 For the past 8 years Kim has held a manager position on 10 different teams within the sports of ringette and hockey. Kim is passionate about the Canada Games experience as she has lived it as an athlete, coach and parent. She feels that some of her greatest life lessons were gained during her own Canada Games experience in the sport of Softball. She has a solid understanding of the building blocks necessary for a high-performance program and is committed to working collaboratively with athletes, coaches, and parents. She is honoured to accept the role of Manager for the 2019 Canada Winter Games Team.